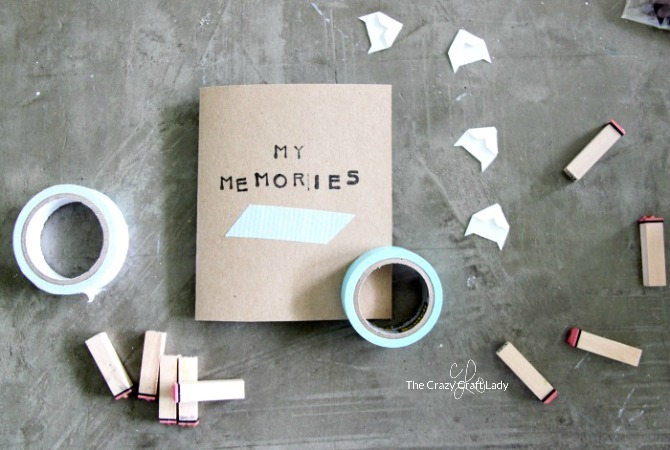 Learn how to make a simple DIY mini memory scrapbook that your children can decorate and customize on their own. 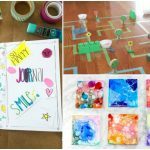 Kids will love this creative scrapbooking activity that is perfect for family photos or vacation memories. My kids love to look at photos… photos of themselves that they ask me to take on my phone, vacation photos, family photo albums. They love it all. I decided to take our family photo album game up a notch after a recent weekend trip to Madison, WI. I took our favorite vacation photos and made a mini scrapbook for my daughter to decorate and customize however she wanted. 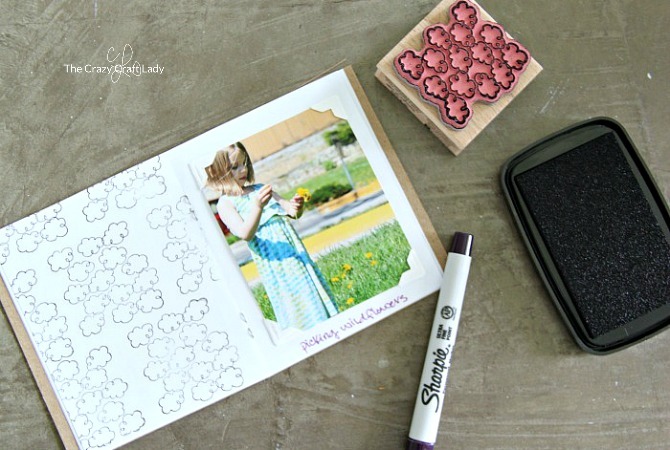 embellishments – washi tape, rubber stamps, photo corners, stickers, colored pencils and markers, etc. First , cut rectangles out of your cardstock and white paper. 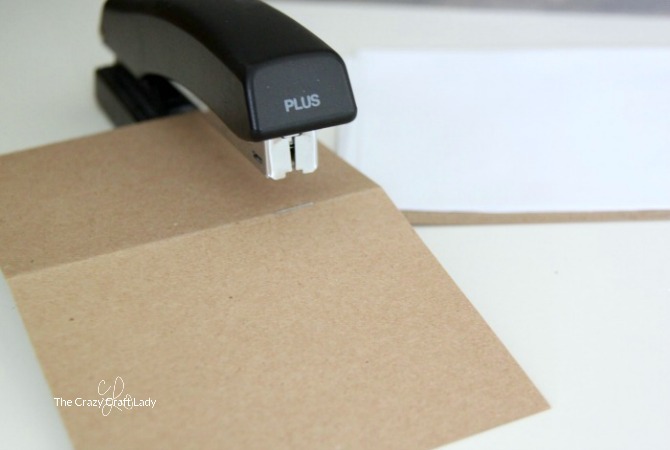 Remember that the width of your mini scrapbook will be limited by the size of your stapler. 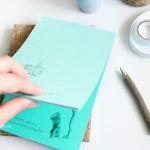 Fold the stack of cardstock and paper in half. Then staple along the crease to form the book’s seam. 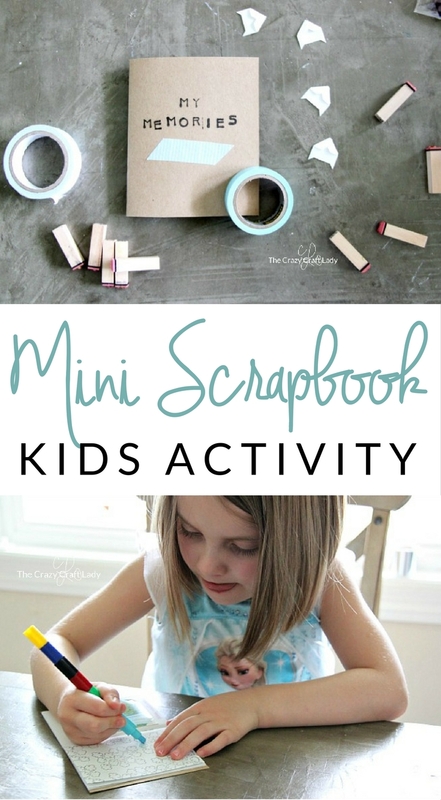 Using a rubber stamp or marker, give the cover of the mini scrapbook a title. 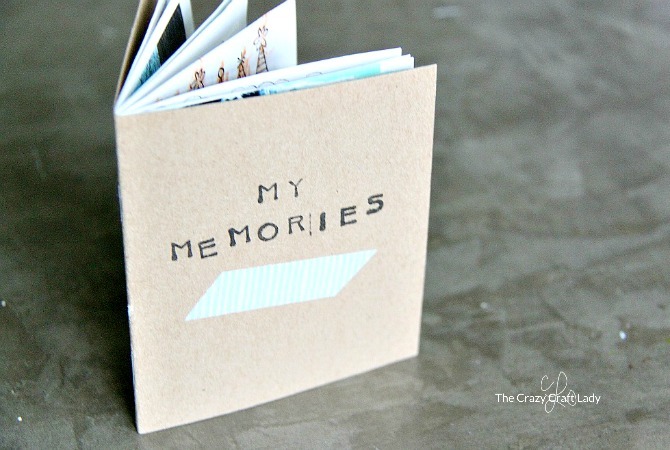 I used rubber stamps to spell out “my memories” for my daughter’s vacation photos. 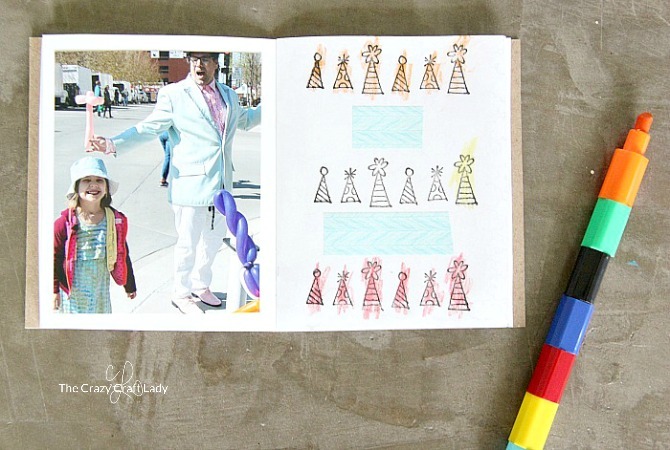 Next, fill in the pages of the book with photos. 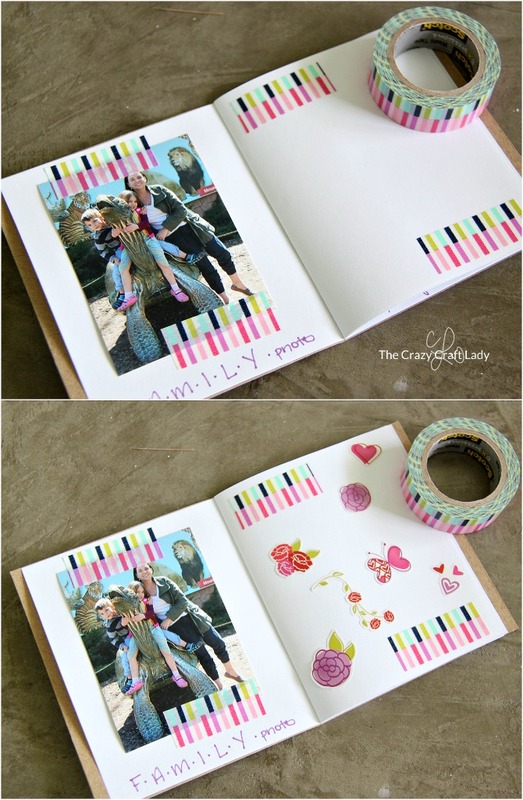 Secure the photos with double-sided tape or photo corners. 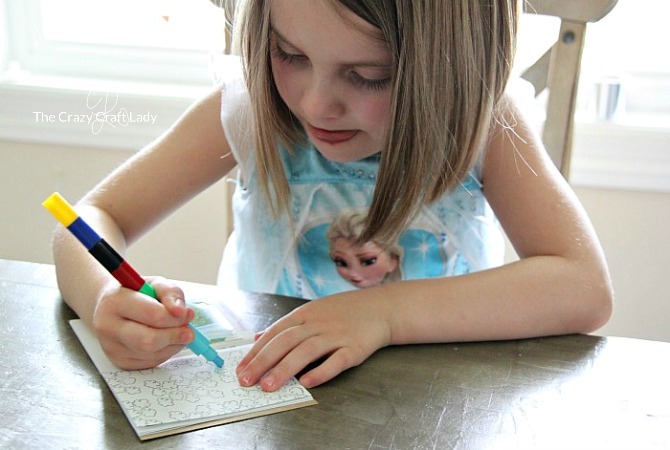 Add rubber ink stamps that have plenty of white space for your child to color. 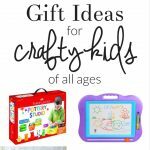 Let your child decorate! 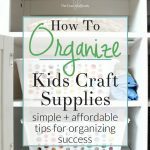 Add washi tape and stickers in the white space. Simply let their imaginations run wild! 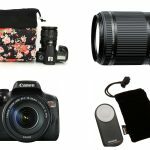 Start taking amazing family photos today! I have gathered 8 simple family photography tips in "The Average Parent's Guide to Childhood Photography," an Ebook written by a parent photographer, for parent photographers of all skill levels. 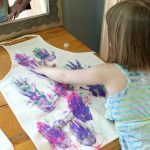 Subscribe and download your FREE Ebook, so you can start capturing beautiful childhood memories today!